Empower Me 90-Day Challenge is not about a supplement or a diet plan, it is a MINDSET for life. It is about advancement in every aspect or your life and a commitment to a better YOU. If you have the desire to make a change, we have the tools to help you make it happen. LOOK, FEEL, and BE your absolute best with ME POWER. 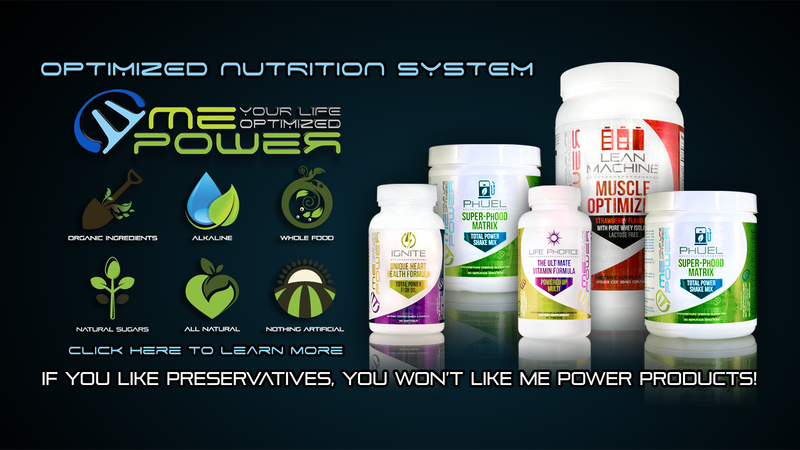 Optimize your Life & Health NOW! Commit to your weight/health goals by taking yourself on for 90-days through the ME POWER, EMPOWER ME Challenge. Choose between the Optimized Nutrition System that includes two PhUEL Greens Super-Food Matrix or one that includes one PhUEL Greens Super-Food Matrix. PhUEL is Delicious, packed with greens super-foods, fruits & vegetables, probiotics & pre-biotics, organic barley & wheat grass, blueberries, goji berries, digestive enzymes, high orac antioxidants, tumeric, milk thistle and more. PhUEL is a healthy and highly alkaline and does a great job at maintaining pH balance. You'll have more energy, more focus, and feel better overall. The Optimized Nutrition meal plan that will not only help you get to your ideal weight and optimized health state, it will also help save you money on your food budget. Access to Healthy Tips, Recipes, and Exercise Guidelines. Company must have a total of 12 or more contestants per 90-Day Period to qualify throughout the company. Must use Optimized Nutrition System for 90-Days within recommended guidelines. Must be on Autoship/Easyship Optimized Nutrition System for the 90-Day period to qualify. 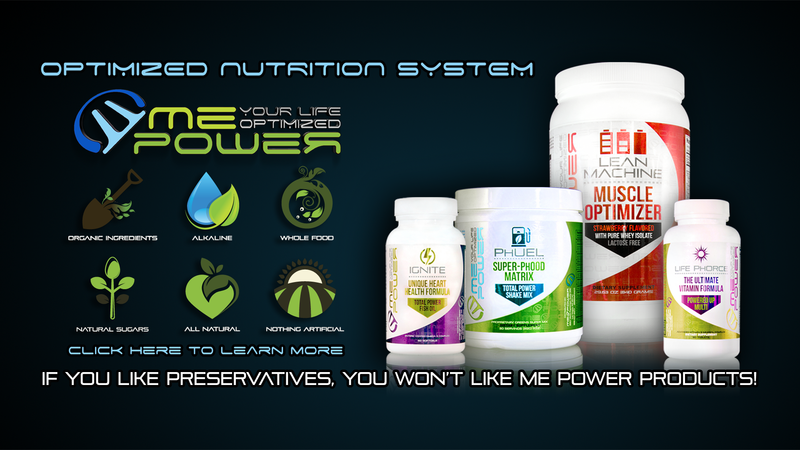 Achieve an optimized healthy lifestyle through the Me Power Nutrition Program, Empower Me. This program is based on alkaline nutrition guidelines, a healthy lifestyle, and a positive mindset. The goal is living at your optimized state of health and performance, both mentally and physically. The path to your optimal lifestyle does not have to be difficult. Empower Me makes it simple with the direction of proven leadership, and an effective system. All you need to do is give 100% of personal effort towards achieving your goals. Become part of a movement to empower yourself and the live's of people all around the world. Every person is worthy and deserves the opportunity to succeed to their fullest potential. As a group of empowered individuals, we will change the world together. Empower yourself and others NOW!